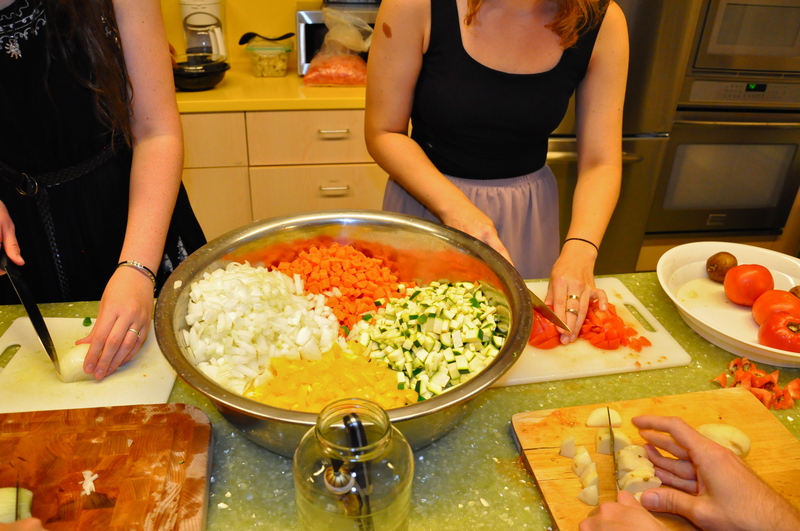 Disco Soupe DC – Success! 620 pounds of food from Mexican Fruits and MOM’s was to be thrown away. That was until Say No To Food Waste stepped in and decided to find a better home for these produce – in the hands of clients who are homeless and hungry. To celebrate this, we invited volunteers to help us chop and bag the produce for clients of two local non-profits, Bread for the City and Food Not Bombs. About 60 volunteers, local musicians and poets came together. Our volunteers were from all backgrounds, races and religions. Some were in the corporate sectors, others in the non-profit, and a few, were still studying. There were also those who were looking for jobs, and this platform proved to be the perfect place to network! But beside the success of doing good, feeding those who are hungry, and saving the planet’s resources, many volunteers were moved by the atmosphere that surrounded them. A feeling of community, sharing our talents and strengths to achieve one common goal- a better world. Yes, it is difficult to achieve. And yes, people think you are overly naive or crazy to even think such a utopian world exists. For those who think that, I hope you come to our next Disco Soupe DC, because you will find yourself with a new feeling. One of hope and possibility. And even if it lasts for a few hours, being in that moment opens doors to unlimited possibilities. A world of magic. I want to express my deep gratitude and thanks to all the organizations and artists that came to the event: The Sanctuaries, DC Timebank, Get Lucid!, and Basswood, To National Geographic for being there to film the evening and help push this taboo topic into the mainstream. And of course, my dear friend Tristram, of Feeding 5k, for taking time from his busy schedule to join the event. He said this was the best Disco Soupe he’s been to, and I couldn’t ask for a better reward!! Organizing such events isn’t easy, but they are worth all the time that goes into them. 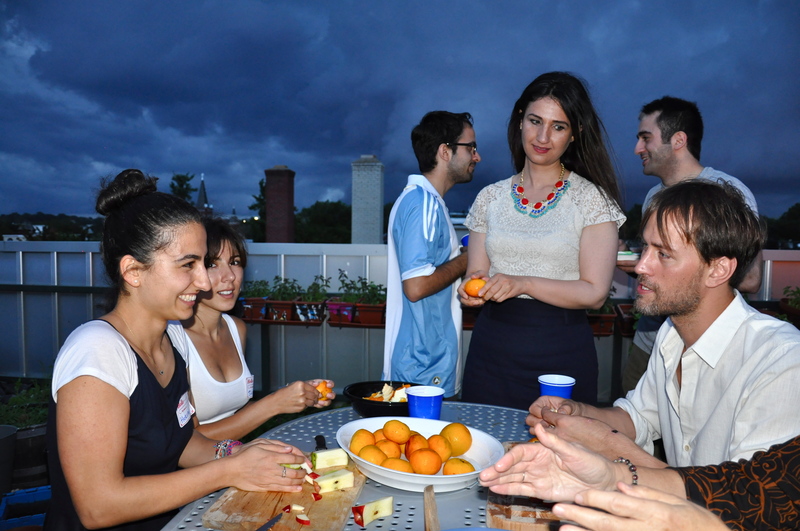 I’m thrilled to see the community of #foodwaste conscious individuals grow in the DC area. Let’s get the word out to even more people, let’s have Disco Soupes every month or every week, until they’re no longer needed! Thank you to all who took part! You are amazing! With much love and many hugs! Posted on June 18, 2014 by saynotofoodwastePosted in Blog, NewsTagged community, disco soupe, food, food waste, happy, sustainability, Tristram Stuart.